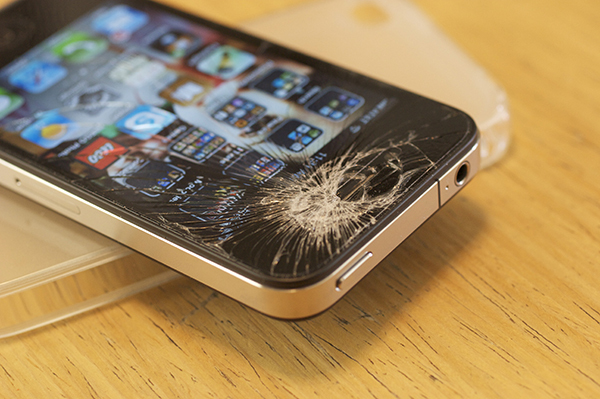 Whether it's a small crack, or a completely shattered glass, when the screen on your iPad or iPhone needs to be repaired, you need an expert who specializes in your device which can get you back up and run efficiently and affordably. Our iCracked certified experts will send a repair technician to your home, office, or public place saving you time and money and providing you with a warranty covered repair wherever you are; or come into our Leesburg location. Make sure that your device is backed up to either iTunes or iCloud so that if complete replacement is necessary, you will be able to keep your photos and personal data. To backup to iTunes, plug in your device to a PC or Mac with iTunes installed and press "Backup" on the device summary screen. * Tip: If you encrypt your backup, you won't have to enter your passwords again. Don't forget your encryption password, or you won't be able to get your information back! To backup to iCloud, go to Settings > iCloud > Storage and Backup (iOS 7) or Backup (iOS 8) and press "Backup Now". If you don't have enough storage, you can always buy more storage, which Apple recently made a lot more affordable. Attempting to repair your iOS device can be deadly. It is never a good idea to try to do it yourself. The batteries in iOS devices are soft and malleable, protected by nothing more than the outside enclosure. If the battery is so much as dented or punctured, it will burst into flames and spew poisonous gas into the room. Lithium-Ion batteries are extremely dangerous when disturbed. Our trained technicians will test and professionally diagnose the issue first, making sure to replace only the parts that are causing the problem. We never make you pay for something you don't need! Once the repairs are made, we'll test your device again to make sure it's working properly before you leave our store. At Computer Corner you can always expect quality products and service from certified professionals. Give us a call today for all of your iOS device needs.